A federal judge signed off on Texas' proposal to temporarily move more than 1,000 inmates from one hot prison to 11 different facilities around the state. HOUSTON — Starting Wednesday morning, the Texas Department of Criminal Justice will begin moving more than 1,000 inmates from one hot Texas prison to 11 different air-conditioned facilities for the rest of the summer. On Tuesday afternoon, a federal judge signed off on Texas' court-ordered proposal to move medically sensitive inmates from the uncooled Pack Unit near College Station. 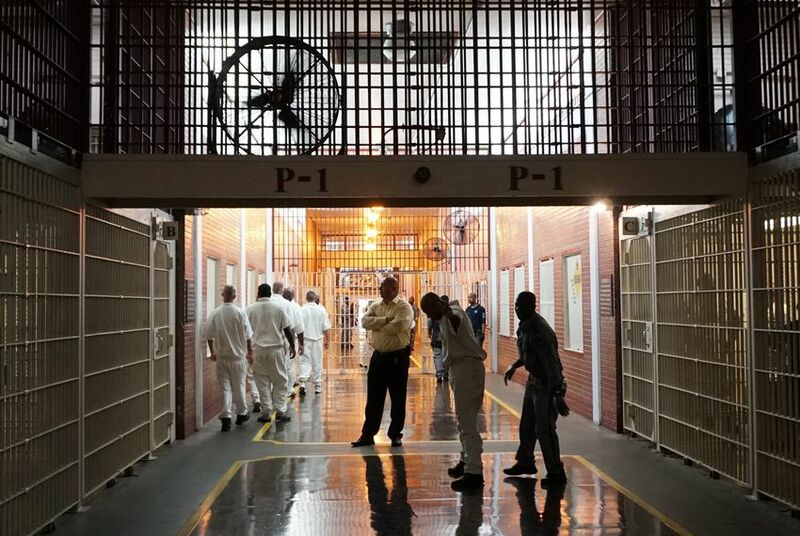 The proposal was issued after the judge ordered in July that air conditioning must be provided for vulnerable inmates and said TDCJ was “deliberately indifferent” to the risk of harm the inmates at the sweltering prison face. Almost 75 percent of Texas prisons and state jails have no air conditioning in the inmates’ living areas, and at some prisons, like the Pack Unit, temperatures regularly get above 100 degrees, according to the judge's ruling. An ongoing class-action lawsuit filed by prisoners at the Pack Unit points to at least 23 heat-related deaths in Texas prisons since 1998 and argues housing should be kept at a maximum of 88 degrees. Though the lawsuit is currently held up in appellate court, U.S District Judge Keith Ellison issued a temporary injunction last month ordering TDCJ provide relief for "heat-sensitive" inmates, such as the elderly, obese, those with heart problems or those on antipsychotic drugs that interfere with the body's cooling system. Texas issued its plan to comply with the order last Thursday, and the Tuesday hearing brought polite sparring from the plaintiffs and defendants over phrasing and timing. Ellison hedged that compromises could be made in some areas but generally approved of the state's proposal. "I think the government made a very good-faith effort to respond," he said. "The plan is full-bodied and detailed, and I do appreciate that." Most of the qualifying prisoners will go to the privately run Diboll prison near Lufkin and the Travis County State Jail, but fewer than 200 others will be moved to nine other units throughout the state that have needed medical equipment or wheelchair accessibility. The transfer of inmates will begin at 4 a.m. Wednesday — on air-conditioned buses — and must be concluded within three weeks. But since this is only a temporary order, they eventually will be shipped back to the Pack Unit. Though no precise date for the prisoners' re-transfer was set, the initial transfer order was given in July and lasts for 90 days. Jeff Edwards, the lawyer for the inmates at the Pack Unit, questioned the timetable of moving the inmate’s to cooler prison facilities, hoping the move would happen within days instead of the two to three weeks Texas estimated. He said the timing didn’t express “urgency” as inmates sat in a sweltering prison during the peak of summer. Texas Assistant Attorney General Craig Warner countered that the transfer needs to be done deliberately. Ellison approved the timeline, adding that some inmates who are currently in the prison facilities are also going to have to be moved out, likely to prisons without air conditioning, to make room for the medically sensitive ones from the Pack Unit. Aside from the inmate transfer, Ellison also approved the state's plan to add window screens to allow for prisoners at the Pack Unit to open their windows without letting insects inside. Within two weeks, the prison will temporarily tape mesh to the outside of the windows and add more secure, permanent screens within six months, according to the proposal. As an order of Ellison’s ruling, TDCJ also drafted a heat wave policy and sought to implement and inform prisoners of more “respite areas” — places with air conditioning inmates can visit at any time. Edwards argued against some language in the heat wave policy and said the state’s proposal didn’t do enough to let inmates know they can go to a respite area at any time. Ellison asked the two sides to come up with a compromise on these issues or submit differing proposals within 10 days. After the hearing, Edwards said he was satisfied that the most vulnerable inmates at this prison will be protected, at least for this summer.